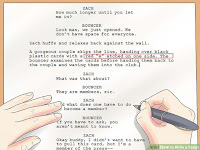 Screenplay or script writers are who writes stories and dialogues for movies, serials, dramas, theater, web series, ad films, short movies in a proper format. Their job is so creative and demanding in all over the world. It is mostly related with entertainment industry. In India it is a very demanding and profitable profession now because India is the highest movie producing country in the world. 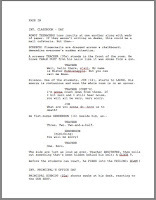 There are lots of famous screenplay or script writers in Hollywood such as William Goldman, Aaron Sorkin, Quentin Tarantino, Billy Wilder, Oliver Stone, Woody Allen and lots of more. Similarly, in India lots of famous screenplay writers or script writers such as Salim Khan, Gulzar, Vishal Bharwadwaj, Aamir Khan, Anurag Kashyap, Javed Akhtar, Farhan Akhtar and many more successful writers and persons. 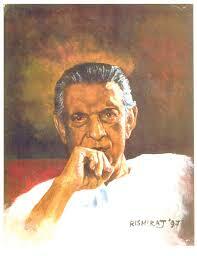 If anyone who have interest in writing and have some creativity thoughts will start their carrier in this industry. For this work you must have a computer or laptop with internet connection. Then your work to be easier than pen and copy. You can use copy for writing initially. For writing you have to select a preferable time and cool atmosphere, avoid disturbances when you writing. There are lots of institutions for this course. They are providing certificate courses or diploma courses of 3 to 6 months duration and also provides Bachelor degree in this field. These courses are both online and offline mode are available and different institution charges different fees for this course. In this course they guide you how to write in a professional format. There are lots of software where you can write in a proper format. There are some softwares for screenplay or script writing such as Celtx, Trelby, Fade In, Final draft, Movie Magic Screenwriter, some of which are free and some of you have to purchase. I share some of those institutions link who provide this course. It is a short-term course and not so expensive. In India it charges approximately 50000 to 100000 Rs for Diploma courses and for online courses they charge up to 25,000. 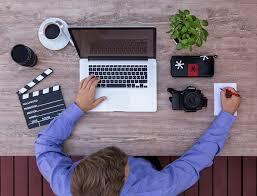 After training you would be a writer on a professional manner so whenever you finish your course you have to write or edit your previous written story or screenplays. Whenever you finish your stories or writing you have to register your stories otherwise there was a chance to steal your story or your writing or not get pay for your work because there are lots of fake people in the world. Whenever you register yourself on Writer's Associations then you get a chance to sale your screenplay or script for movie, serials, or web series direct to the client or correct people and you will get a payment from the client or producers. For registration there is a minimal charges to get register and they charge per page for screenplays or script. Registration fees I think would 25000 to 3000 Rs. 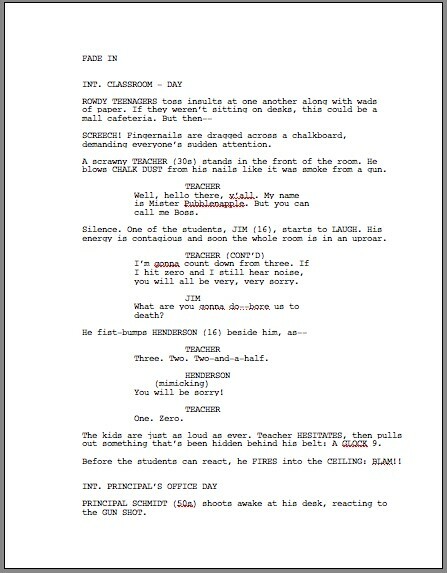 Movie script generally contains 110 to 120 pages. So, if you have a creative thoughts and interest in writing then you pursue your carrier through this course and you will be a script writer or screenplay writer on a professional way and you would be a famous script writer in the future and earn an attractive amount of your writing. Aj main apko batati hoo kaise screenplay writer or script writer ban sakte hai. Sabse pahle jante hai screenplay writing ya script writing hoti kya hai? Screenplay writing ka matlab hai story ke sath dialogues hona ek format ke hisab se jisse movies, drama, web series, serials banaya jata hai. Iski ek format hoti hai usi hisab se writer likhte hai. Jaise ki scene mention karna hota hai, jagah mention karna hoti hai, dialogues aur character ke nam aur time mention karna hota hai. Iss kam ke liye apko ek computer or laptop ki jarurat padegi internet connection ke sath. Ap shuru me copy se start kar sakte hai lekin apko computer se jyada asani hogi. Ye monoranjan se juri industry hai. Isme log lakho me kamate hai. India me iski bahut demand hai kyunki india me sabse jyada movies, serials, dramas, ad films, short movies, banayi jati hai. Iske ke apko likhna ana chahiye aur apki soch creative hona chahiye. Worldwide iski bahut demand hai. Hollywood ke jane mane kuch script writers hai "William Goldman, Aaron Sorkin Quentin Tarantino, Billy Wilder, Oliver Stone, Woody Allen." Iske liye apko sabse pahle kahi se training lena jaruri hai nahi to writers ke sath associates ka kam karna jaruri hai. India ke famous script writer and screenplay writer hai Salim Khan, Gulzar, Fahran Akhtar, Javed Akhtar, Vishal Bharwadwaj, Anurag Kashyap, Aamir Khan, jaise bahut sare script writers hai. India me iski bahut sari institution hai jo ki online aur offline training dete hai. Training ke bad ap apna carier isme suru kar sakte hai. Online training me jyada kharcha nahi lagta hai almost 15 se 25000 Rs me ho jata hai. Lekin ap agar centre se diploma course karenge to jyada lagenga around 50000 se 1,00000 Rs lag sakti hai. Iski training jyada din ke nahi hoti hai. 3 se 6 mahine ke hote hai. Abhi to isme diploma or bachelor courses bhi hoti hai. Alag alag institute me alag alag charges hote hai. Ye ek short time course hota hai. App training ke bad se likhna suru kar sakte hai aur agar pahle se khuch likhkar rakhe hai to usko edit karke apni screenplay ko register kar sakte hai Writer's Associations me. Register karna jaruri hota hai nahi to apki story chori ho sakti hai and apko apne kam ke paisa bhi nahi mil sakta hai. Issliye apko registration karana jaruri hai. Registration online aur offline dono tarah se kar sakte hai. Per page ke hisab se rates lagti hai aur registration fees alag se lagti hai mere kyal se 3000 lagta hai registration fees India me. Movie script generally 110 se 120 pages ke hoti hai. Agar ap ekbar registration kara lete hai to apki story chori nahi hogi aur ap apni story ko sidhe client ko ya producers ko bech payenge and apki mehnat ki achhi paisa milegi kyuki likhna koi asan kam to nahi hai uske liye bahut mehnat lagti hai aur samay bhi bahut lagti hai. Main apko kuch link share karti hoon jaha ye diploma course or certificate course hoti hai. Ye course sab kar sakte hai khas kar jinhe likhne ki tajurba hai aur likhne ki chahat rakhte hai. Likhne ke liye ek alag time set kijiye aur disturbances se bachiye. Likhne ke liye sant mahol ka hona jaruri hai aur thori si creativity. Ab apko iski format ke bare me batati hoon. Script writing or screenplay writing ke liye bahut sare software ate hai jaise ki Celtx, Trelby, Fade In, Final draft, Movie Magic Screenwriter. App agar ye software download kar lenge or purchase kar lenge to asani hogi aur format ke hisab se likh sakte hai jisse apko jaldi kam mil jayenge. Ye software kuch free bhi hote hai. Shuru me appko achhi paisa nahi milenge lekin ekbar apki story hit ho gayi to apko kam ki kami nahi hogi. Shuruyat me har job or business tough hota hai but ekbar ap famous ho jayenge to apki writing ko bahut achhi response milegi and app ko achhe producers or client milenge apke kam ke liye. To apko agar likhne me interest hai to ap iss field me apni carrier bana sakte hai khaskar homemakers.